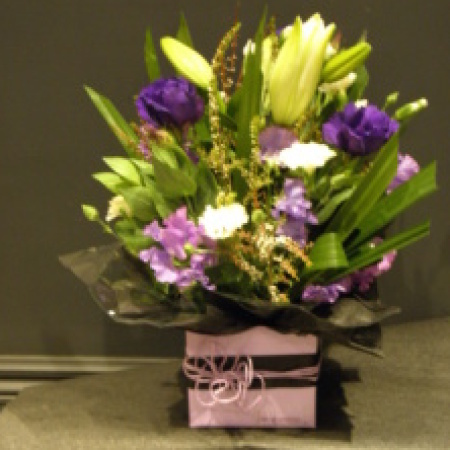 Amaranthine’s Violet Arrangement is a striking gift in whites and purples, perfect for the celebration of a new bundle of joy! With lush green foliage and purple lissianthus and white pixie carnations, with beautiful sweet peas and lillies this arrangement is a gorgeous welcome to the world gift. A stylish and unique design from Amaranthine Flowers By Design, your local florist in New Lambton, Newcastle.